Regular, deliberate pruning helps to promote tree health and keep your trees looking their best. And while most homeowners hire professionals to prune their trees, others prefer to get out there and trim their own. In either case, winter is perhaps the best time of year to prune your trees, so it is time to get busy. Not only are most trees dormant through the winter, many have shed their leaves, allowing you to better appreciate their form and structure while you work. But before you grab your loppers and run outside, take a moment to familiarize yourself with the following tips. They’re sure to help you prune more effectively and keep your trees looking their best. Tread lightly when pruning. While most healthy trees can tolerate the removal of a few branches, most will succumb to pests, disease and stress if more than about 25 percent of the canopy is removed in a single year. Accordingly, it is always better to think twice before making each individual cut, and always err on the side of leaving a branch intact, if you are unsure of the best path forward. Use the right tool for the right job. Hand shears are good for thin, leaf-bearing twigs, while pencil-thick branches are better handled with loppers. Branches larger than a broomstick require a handsaw, and those thicker than your wrist require a chainsaw (as well as an operator properly trained in its use). Spend most of your time removing dead or dying branches. Branch death is a natural part of the lives of most mature trees, and – except in cases involving spreading pathogens — trees are rarely bothered by dead branches that remain attached to the trunk. However, dead and dying branches represent a very real safety hazard, as dead branches can fall at any time. In the interest of keeping your home and family safe, prioritize the dead and dying branches when formulating your pruning plan. Paint your house, not your trees. While arborists of decades past often coated cut branches with wound paint, modern arborists generally eschew the practice. Employed as a way of protecting the tree from fungi, bacteria and insects by accelerating the rate at which the tree compartmentalized the wound, research has shown that none of the commonly used protectants accelerate the rate of closure – one class of commonly used wound paint actually reduced the rate of healing. Keep these tips in mind when you set out to trim back your trees, and you’re sure to have great results. Of course, there is much more to both the art and science of tree pruning, but it takes years to learn the skills to be one of the best. If you’d rather not worry about learning the methods of proper tree pruning, and would rather leave it to just such a professional, contact Arbor Tree Surgeons today. We will match you with an ISA-certified arborist in your area, who can tend to your trees. The post Three Helpful Hints For Properly Pruning Your Trees appeared first on Arbor Tree Surgeons. It’s almost cliché at this point to list the myriad ways in which trees improve our lives. We know they improve the quality of the air we breathe, strengthen the mental wellbeing of youngsters and increase property values. We know that they help patients heal more quickly, reduce stormwater runoff and increase urban biodiversity. A 2011 study even found that trees were a viable way to help “climate-proof” high density housing areas in the UK. But one of the most tangible benefits they provide society relates to crime. Trees have been shown to reduce the rate of crime in several different studies. For example, a 2001 study examined the relationship between green spaces and crime in urban Chicago, Illinois. Among other things, the researchers found that property crimes were 48 percent lower in areas with abundant tree-lined greenspaces than they were in areas with minimal vegetation, and violent crimes were 56 percent lower in the well-planted areas. Several other studies have supported similar conclusions, and most discussion among academics centers around the extent to which trees reduce crime, rather than questioning the fact that they do. At this point, the relationship between trees and a reduction in crime are reasonably well accepted. But that doesn’t mean we can’t learn more about this relationship. In fact, knowing that this relationship exists should encourage more research into the subject, so that society can leverage the lessons learned to improve the lives of as many people as possible. And, as chance would have it, the USDA Forest Service just completed a study that sought to yield exactly this type of data. In the course of the study, researchers compared the crime patterns of Cincinnati, Ohio with the presence of trees. Unsurprisingly, the researchers found that, as with virtually every other geographic area studied, crime decreased as the tree density increased. But there is an interesting twist to this particular study – these researchers weren’t comparing places with a thriving urban canopy with places in which trees were never planted. They were comparing places with healthy urban forests with those that had forests decimated by the emerald ash borer. The emerald ash borer is a shiny green beetle, originally native to East Asia. Although it feeds on the leaves of ash trees, this rarely leads to significant problems: It is the feeding behavior of the larvae that destroy the trees. In its home range, the insect maintains a low population density, which prevents it from becoming a pest. However, outside this native range, the insect’s population often explodes, putting local ash trees at risk. By establishing a link between the presences of the emerald ash borer and crime, the researchers have helped to raise awareness about the harm this invasive species represents, which will hopefully help make more funding available to fight its spread. For advice and assitance for all of your tree troubles, contact Arbor Tree Surgeons. The post The Pesky Bug That Leads to an Increase in Crime appeared first on Arbor Tree Surgeons. The European Beech (Fagus sylvatica; southern Great Britain only) is a deciduous tree belonging to the beech family fagaceae. Its origin is in the woodlands in Central and southern Europe. It grows to medium size with fan-shaped branches and ribbed greenish leaves. It is a large tree suitable for a large space providing excellent shade especially for lawns and parks, providing shelter for birds and other insects like beetles. Its fruits are showy and edible food for birds and rodents. They were also ground to make flour which could be eaten after leaching the tannins out by soaking. If frequently clipped they can make attractive hedges. Its timber is used to make beautiful ornaments which are later sold to tourists and other people. The copper beech or purple beech, fern leaf beech, dwarf beech, weeping beech, deck beech and golden beech are all used in the horticultural industry. It is also a source of hardwood which is used as timber for making furniture. It is very resourceful in the furniture industry as it is easy to soak, varnish, glue and die. Very resistant to compression and splitting and has an excellent finish. It provides wood also act as a source of fuel. Its nuts were also pressed to obtain oil for cooking and in lamps. It is occasionally attacked by beach scale. You should watch out for caterpillars, Japanese beetles and aphids. Bores also attack distressed trees. Canker, beech bark disease and mildew also occur sometimes. It is intolerant to wet, poorly drained soils and does not grow well in urban settings. The post UK Tree Surgeon Index 4: The European Beech (Fagus Sylvatica) appeared first on Arbor Tree Surgeons. Box (Buxus sempervirens) is an attractive, flowering evergreen shrub or small tree which is a popular ornamental addition in many gardens. Box plants may also be referred to as common box, European box, or simply boxwood. It is native to western and southern Europe, northwest Africa, and southwest Asia. Today, Box can be found throughout many parts of the world, and is well adapted to conditions in the warmer regions of southern England, as this is part of its original habitat. Some of the distinguishing characteristics of Box are its very fragrant flowers which lack petals and blend in with the foliage, and its small, green to yellow-green leaves. Depending on age and growing conditions, the plants can vary in height from 1-10 m tall, with trunk widths of 20-45 cm, and a foliage spread of 1.5-5 m across. Box is frequently used in more formal gardens as a hedge or for topiaries, as it is a plant well-suited to close shearing. Young plants should be cut back by up to one-third in May to encourage lush growth, with additional tree trimming as needed, while mature plants should be pruned in August. Old shrubs which have not been properly tended for some time can be cropped down to approximately 15-30 cm high in May to stimulate healthy, new growth. A Tree Surgeon can assist you by shaping your Box plants for the best ornamental effect in your garden, and this beneficial maintenance can also help protect your plants from disease. The most common problem encountered with Box is the fungal disease Box blight. Treatment involves clipping off any affected areas, applying a fungicide to the shrub, and removing any potentially contaminated plant matter and surface soil underneath. Box blight may be prevented by regular, careful pruning, which can help ensure adequate air circulation. Pests such as the Box tree caterpillar, red spider mite, scale insects and box suckers are less frequently seen, but can also be an issue. The post UK Tree Surgeon Index 3: Box (Buxus sempervirens) appeared first on Arbor Tree Surgeons. A million different things can kill a tree: pests, drought, improper sight selection, floods – the list is endless. But the most maddening ways by which trees die are those that could have been easily avoided. Take for example, girdling – a process by which a tree’s phloem and cambium are damaged, by wounds occurring around a trunk’s circumference. Few girdled trees survive for very long. 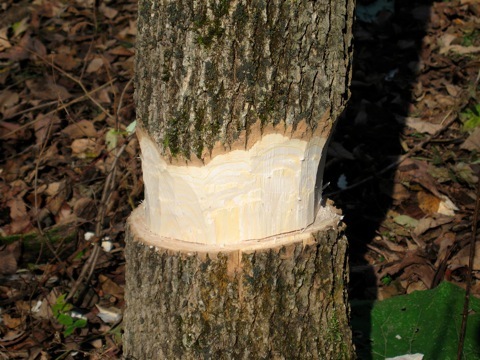 In fact, girdling is such a lethal threat to trees that foresters often use a version of the technique when trying to deliberately kill trees without the use of herbicides. In this case, the forester would cut a several-inch-wide band around a tree’s trunk, being sure to penetrate all the way down to the wood. Ironically, some fruit-tree farmers deliberately girdle their trees to improve fruit production, but in such cases, the wounds created are small enough for the tree to repair. However, trees are more commonly girdled when someone deliberately wraps an item around a tree, but fails to remove it in short order. As the tree grows, the offending item becomes tighter and tighter, eventually slicing through the tree’s bark. Most trees can sustain a little bark damage; part of the bark’s evolutionary purpose, after all, is to shield the tree’s more delicate interior. But if the problem is not rectified at this stage, the damage will only get worse. Soon after penetrating the tree’s outer bark, the rope, wire or fabric strangling the tree will begin to damage two important cell layers: the phloem and the cambium. If a significant portion of either cell layer is destroyed, the tree is likely to die. A tree’s phloem serves as a two-way transport system, that allows trees to move sugars up and down a branch or trunk, as needed. The phloem is present in the form of a thin band that stretches around the circumference of each branch or trunk. Accordingly, minor wounds are easily tolerated, but wounds that affect about one-third or more of the trunk effectively starve a significant portion of the root system, dooming the tree to a premature death. Like the phloem, a tree’s cambium also occurs as a band of tissue, but it is located immediately inside the ring of phloem. Cambium is a type of tissue known as a meristem, which means that it is an area of rapid cell division – essentially growth. As the cambium divides, it produces both the xylem (wood) tissue to the inside and the phloem tissue to the outside. Obviously, the cambium is an important tissue for the tree, so it is imperative that it, like the phloem, remain undamaged. Some of the other ways in which trees become girdled include beavers and other rodents, or vandals, who carve their names into a living tree’s wood. However, trees can actually girdle themselves, by producing roots that encircle the trunk, eventually cutting off the movement of resources through the phloem. If you require any assistance from your local tree surgeon, contact Arbor Tree Surgeons today! The post Protect Your Trees From Girdling appeared first on Arbor Tree Surgeons. 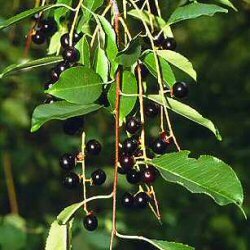 The bird cherry tree is a shrub or a small tree and it is also known as the Mayday tree. This species of tree produces fruit and flowers with the flowers being pollinated by bees and flies. Bird cherry trees are native to both Northern Europe and Northern Asia and they can be seen growing wild in places that include the Arctic Circle, Britain, Northern Ireland, Russia, Ukraine, Portugal, Spain, Norway, Finland, France, the Balkans, Italy, and Sweden. These shrubs are distinguished easily because of their fruit which has an astringent scent. It is because of their high content of tannin. This makes the leaves, stems and fruit poisonous to some animals. The Tree Surgeon can help you identify most trees that are poisonous. It is very important to be sure to identify poisonous trees from those that are not. Far east of Western Europe the fruit is commonly consumed, but not in Western Europe. The fruit is black and it is ground into a unique flour and used for a variety of culinary purposes. During the Middle Ages, the fruit was used in herbal medicine. In some regions, people believed that when the bark of the tree was placed at the door it would ward off plagues. Its purpose for being marketed in the United States is for ornamental purposes. In Advie, the natives called it a witch tree. When larvae attack the tree they will eat it leafless. Birds eat the fruit because the astringent odor does not present an unpleasant taste. The bird cherry ermine moth uses this shrub as a host. If you are interested in learning more about tree or shrub diseases and common problems, then the Tree Surgeon is highly skilled and experienced in giving you answer to questions and concerns for a wide variety of trees.